As a veteran owned and operated company, Patriot Shield takes pride in almost exclusively employing combat veterans with years of experience and training in security operations. With some additional civilian and marijuana rules and regulations training provided in-house, our operators are the complete cannabis security package. Patriot Shield has brought on cannabis industry experts from around the country to assist with marijuana security operations with true insight from established markets. These experts have witnessed first hand the progression of the industry and know where to lead clients. 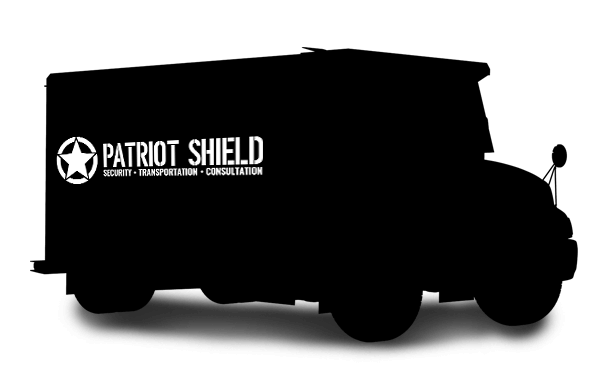 Patriot Shield is proud to make Secure Transportation the flagship service of our business. Our team members have years of experience in transportation operations both here, across the Midwest for companies like Pepsi-Co, and overseas, in combat zones for the US Military. This unique blend of both military and civilian training and experience is what makes Patriot Shield the leader in MI Marijuana Transport. Patriot Shield employs the highest caliber operators MI has to offer and focuses exclusively on the veteran community to find them. To help ensure a smooth transition into the company, Patriot Shield sends all employees though one of the best in-house training academies in the industry. This course teaches on MI marijuana rules & regulations, Patriot Shield policies & procedures, arrest control tactics, situational awareness, and many other security focused trainings. The wide industry knowledge and experience accumulated by the team has led to several very key strategic partnerships early on. These partners allow Patriot Shield to offer full service security from your original design to actual installation and monitoring of your security systems.